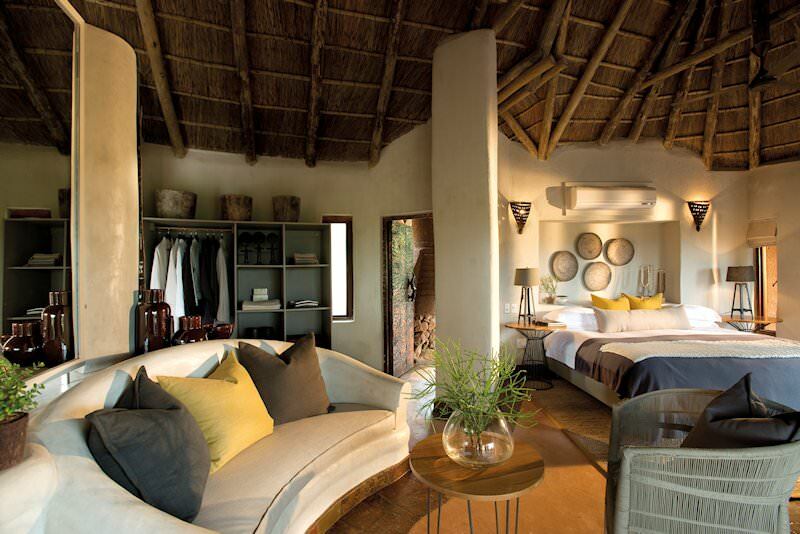 Madikwe Safari Lodge provides luxury accommodation on Big Five safaris in Madikwe. 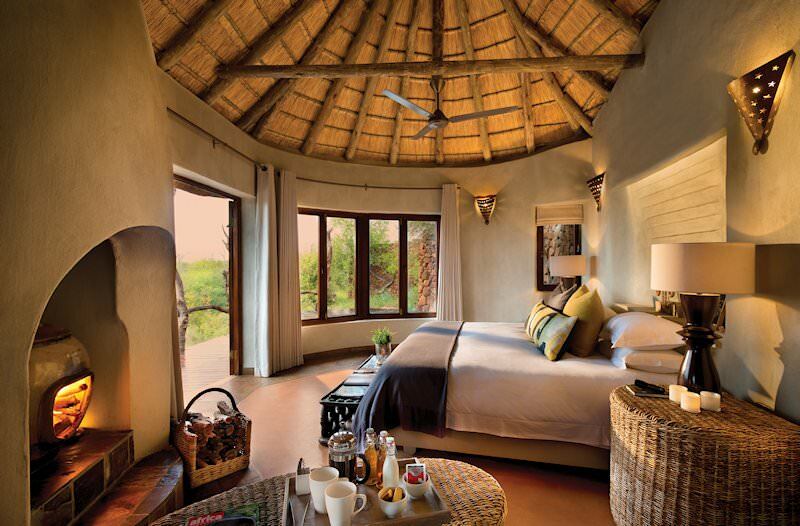 The luxurious Madikwe Safari Lodge is situated in the malaria-free Madikwe Game Reserve in the North West province - an ideal location for a family-oriented luxury South Africa safari. Wildlife, including the Big Five, cheetah and the African wild dog, roam freely in this rehabilitated wilderness. 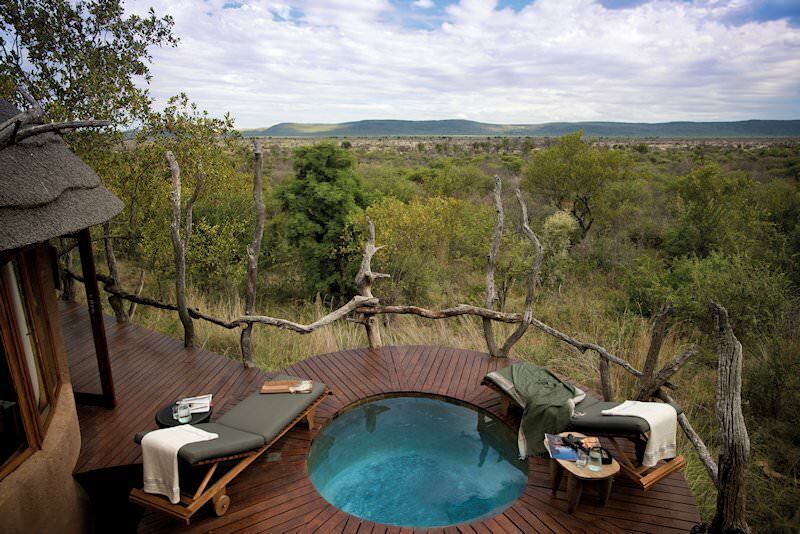 This magnificent 75 000ha sanctuary offers guests an abundance of spectacular game viewing opportunities. This South African lodge offers exclusive, private accommodation in 20 luxury suites situated in 3 camps - Lelapa, Kopano and Dithaba. Kopano Lodge only accommodates children above age 16, while Lelapa caters to all families and Dithaba welcomes children if the camp is booked exclusively. 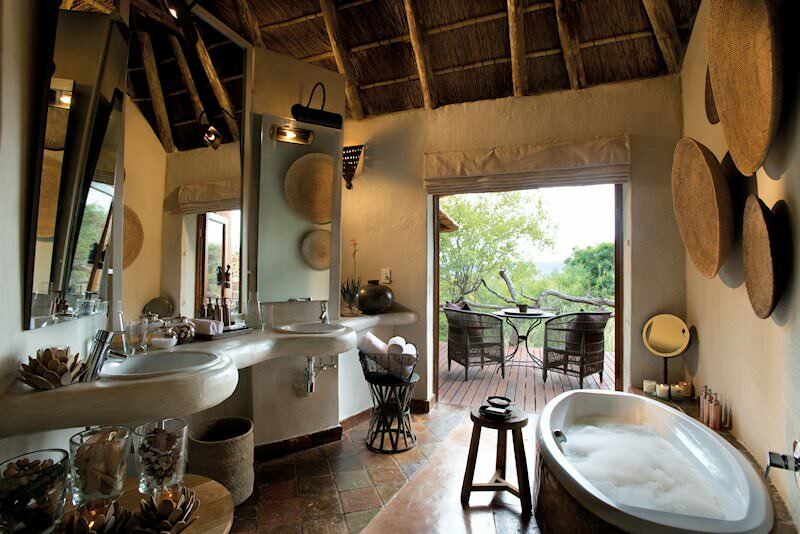 Every suite features an en suite bathroom with indoor and outdoor showers as well as a large bath, a private sitting area and a sparkling plunge pool on a wooden deck. Other modern amenities include air-conditioning, personal bars, room safes and a circular fireplace. Madikwe Safari Lodge overlooks an inherently African landscape with grassy savannas, beautiful indigenous thorn trees and rolling hills. The reserve is situated in a unique biosphere where the Kalahari and bushveld biomes meet. Game rangers accompany guests on two daily safari excursions to view the Big Five and many other species in their natural habitat. 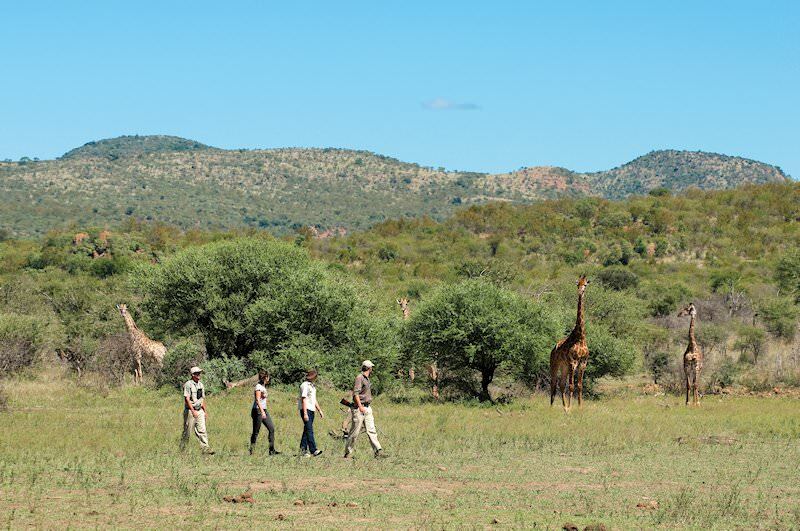 From O R Tambo International Airport in Johannesburg, guests are chartered to the malaria-free Madikwe Private Game Reserve in the North West province for their safari. The reserve is home to 66 species of mammal, including the ever-awesome Big Five. 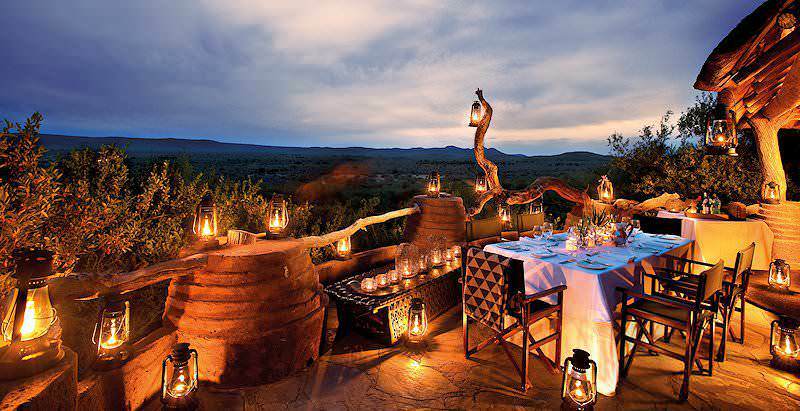 Mealtimes consist of gourmet fares and traditional braais in the outdoor boma. 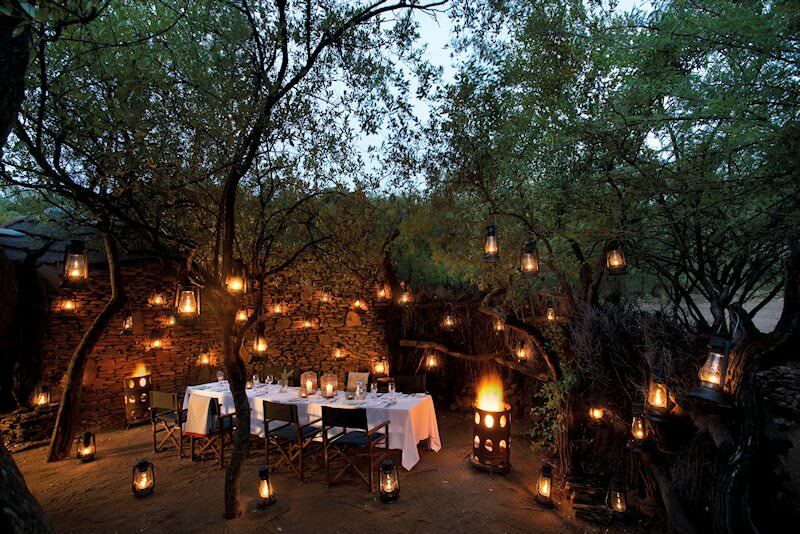 Alternatively, Madikwe Safari Lodge also offers exclusive bush dining in the bewitching tranquility of the veld. 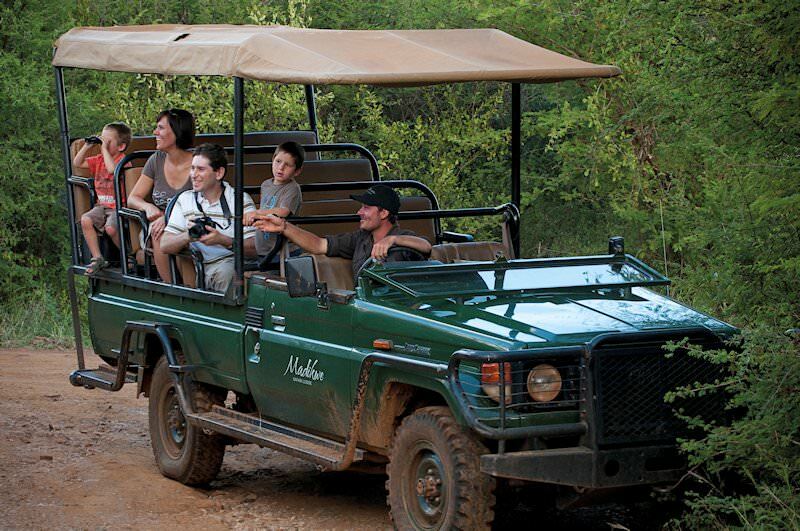 Game drives are conducted twice a day in open-air 4x4 vehicles, while guided bush walks take place in the afternoon between brunch and high tea. Additional activities that may enhance your safari package include local community village tours, stargazing and relaxing in the resident health spa. Guests may also enjoy the privilege and privacy of their unit’s own plunge pool. 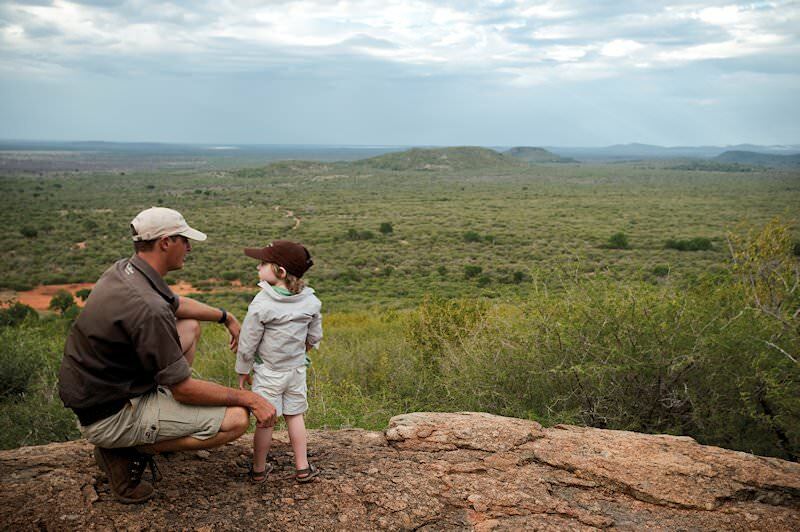 The Madikwe Game Reserve is very popular with families who wish to enjoy a &apos;real safari&apos; in South Africa in an area where malaria is not endemic. If this is what you have in mind, then I can recommend Madikwe Safari Lodge as a very well-managed five star lodge, where you will experience luxurious accommodation and fine safaris. If it is your first safari in South Africa and your party consists only of adults who are able to take anti-malaria prophylactics, I would recommend the Kruger National Park or the private reserves which form part of it for the finest safaris in the country. South Africa's safari areas are as diverse as Kruger in the lowveld and Phinda in Zululand. Botswana is a wild paradise for nature enthusiasts, hosting ample wildlife and wilderness. Namibia's desert scenery makes for dramatic safari backdrops. Zambia - particularly South Luangwa - is the birthplace of the walking safari. Zimbabwe's safari destinations include Hwange and Mana Pools National Park. Mozambique's coral reefs offer world-class snorkeling and diving opportunities. The Greater Kruger National Park stretches over almost two million hectares of pristine lowveld in South Africa. 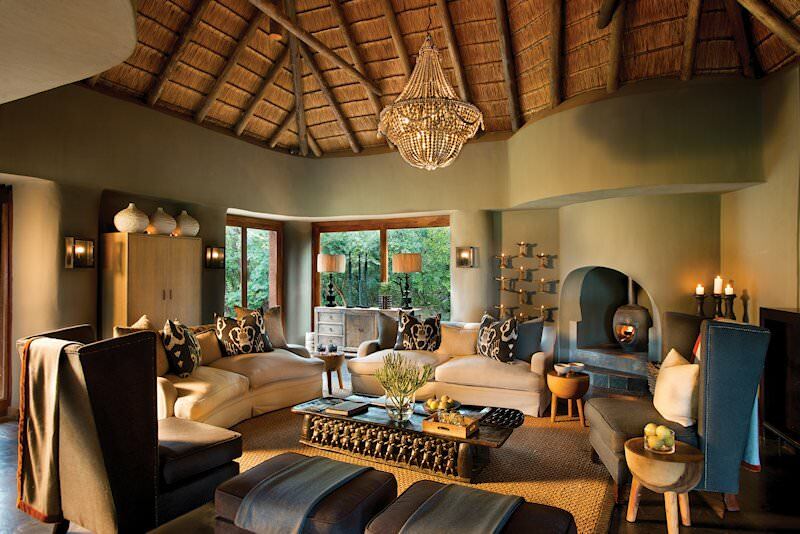 Our luxury African safaris are inherently sumptuous, from the meals included to the plush accommodations enjoyed. 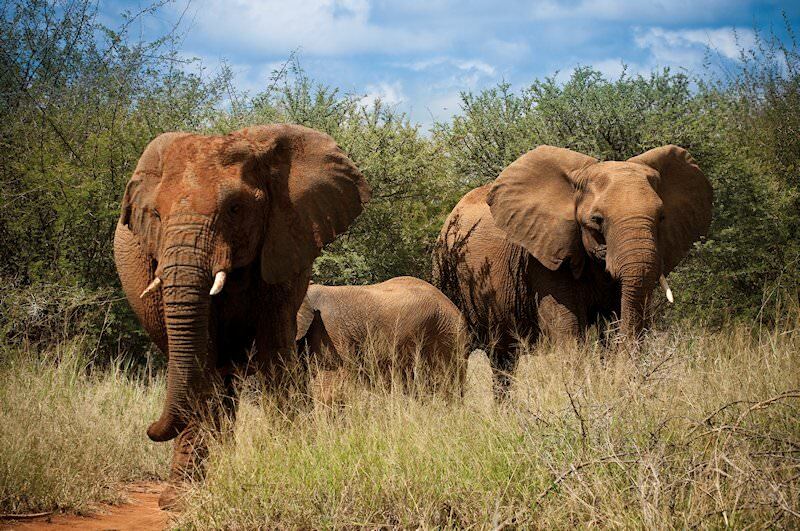 Our Big Five safaris are characterized by thrilling encounters with the continent's most awe-inspiring mammals. The African lodges we offer safaris to have been handpicked for service, location, intimacy and game viewing potential.